Every single option listed above (and potentially others not listed) could be the turning point. I would vote for Option B. Michigan State had dominated the first half so much (it's eFG% was close to 70 percent) that a few defensive stops would have changed both locker rooms at halftime. 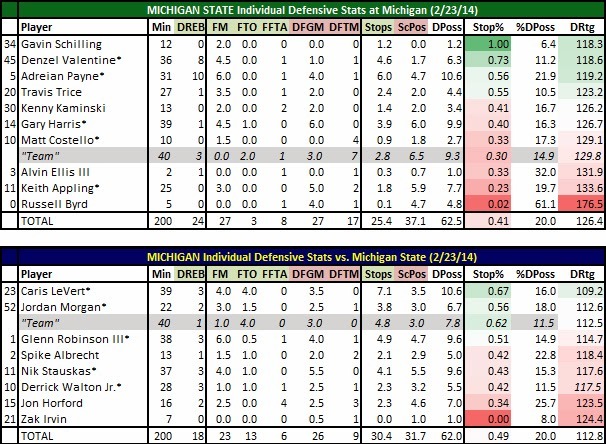 Instead, MSU continued to excel on offense only to watch its defense falter. While Izzo's man-to-man defense does utilize help occasionally, there is no denying Byrd got owned again and again and again. Every play was demoralizing for the Spartans. I can't second guess Tom Izzo there as he was giving Kenny Kaminski a blow (Kaminski came in to replace Byrd after the final of the three straight woeful defensive possessions). He was likely doing the same thing with Alvin Ellis but was probably going with Byrd's size advantage (6-7 vs. 6-3). While LeVert's 3-pointer before the half hurt and Stauskas' takeover was huge I believe both would have been minimized in terms of effectiveness had the Spartans held a bigger lead. They didn't because of those three-straight Brydisms. Keith Appling is not 100 percent. He's not even 80 percent according to Coach Izzo. This begs the question: Would Spartan fans rather have a back court of Travis Trice and Denzel Valentine at 100 percent or a 70-percent Appling? Remember, Appling was victimized by Stauskas' great shooting Sunday afternoon but it's his offense (or lack thereof) that is hindering the Spartans. He scored six points, but all came in the final 100 seconds as Michigan was leading by double digits and playing ole defense so not to foul. Appling had three uncontested layups when the final whistle sounded but he did little else offensively. The ball seemed to die in his hands at the top of the key and he's not a threat to shoot so it's like playing 4-on-5, right? This will probably be the last Russell Byrd sighting this season. That 176.5 DRtg is borderline unconstitutional in East Lansing. When Branden Dawson returns next week against Illinois the first guy to be relegated to scout team duty is likely Byrd. That 3-point dagger against Iowa seems like eons ago, doesn't it? 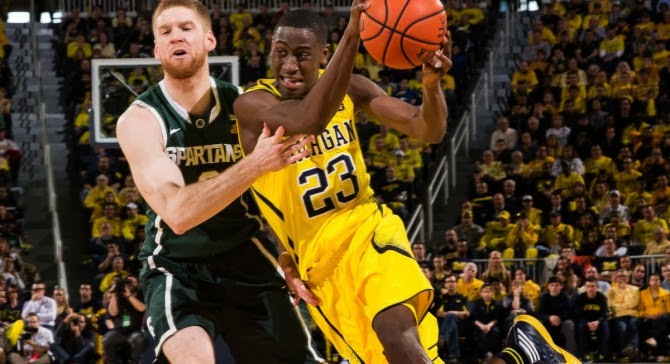 How often have I said Caris LeVert's motor defensively can change the game for Michigan. He was spectacular Sunday, forcing four missed shots and four turnovers. He allowed 3.5 baskets - two of which were late closeouts on 3-point shooters Gary Harris and Denzel Valentine, but no Spartan was able to get a bucket dribbling by the lanky LeVert. He was as active defensively as I've seen him all season. Zak Irvin is good for one thing: offense. When he's not hitting 3-pointers he's just giving other player a quick rest because he's a defensive liability. He only played seven minutes against the Spartans - mostly because he wasn't shooting well and John Beilein knew it was best to cut his losses. The whole "wait until Michigan State gets healthy" narrative has run its course. Keith Appling won't be 100 percent the rest of the season. 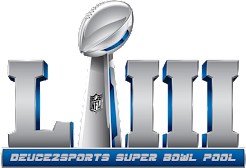 However, the defense should return to form when Dawson returns. It probably isn't a surprise that MSU is 18-1 with Dawson in the lineup and 4-5 without him when you look at the defensive numbers. The Spartans have given up at least 1 point per possession in eight of the nine games Dawson missed (only a 60-58 loss at Wisconsin [64 possessions] missed that mark). It happened just five times in MSU's first 19 games with Dawson in the lineup. Those are just the fact, folks. It doesn't mean MSU goes from slumping to Final Four favorite but it does mean the Spartans will get a dynamic boost on the defensive end.